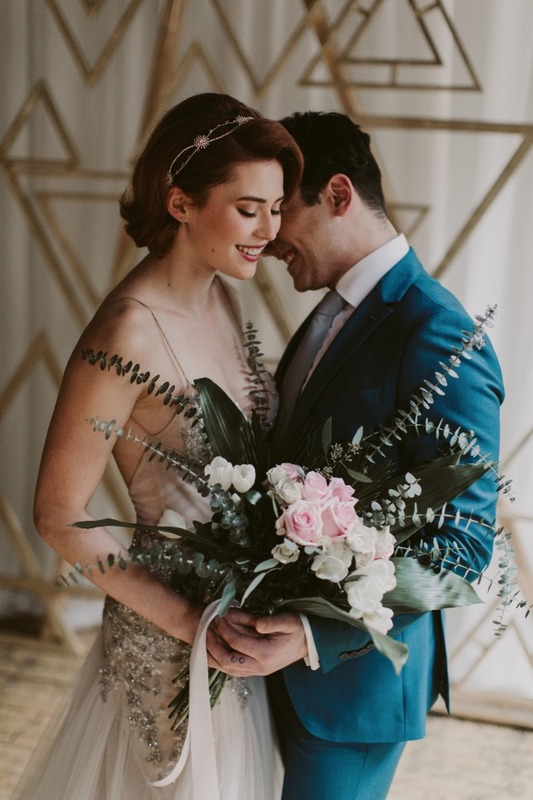 Ah, modern love! 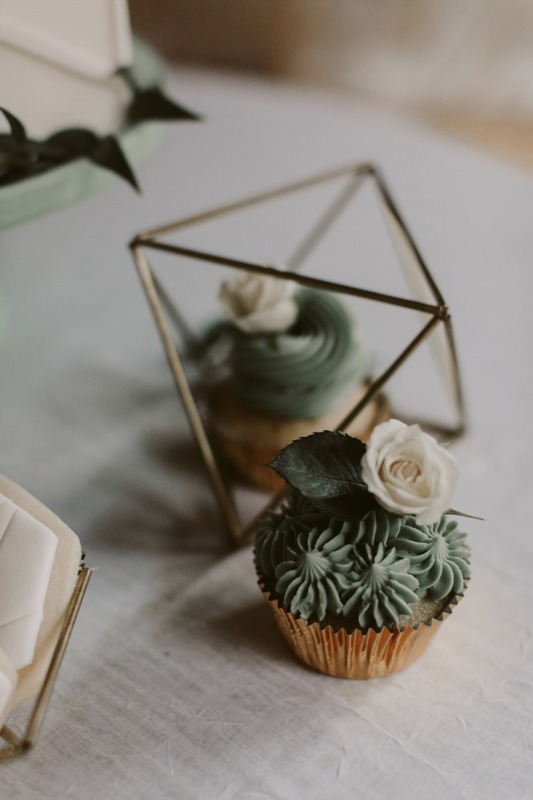 We are living in a time when the idea of a wedding is constantly be stretched and reformed almost daily. 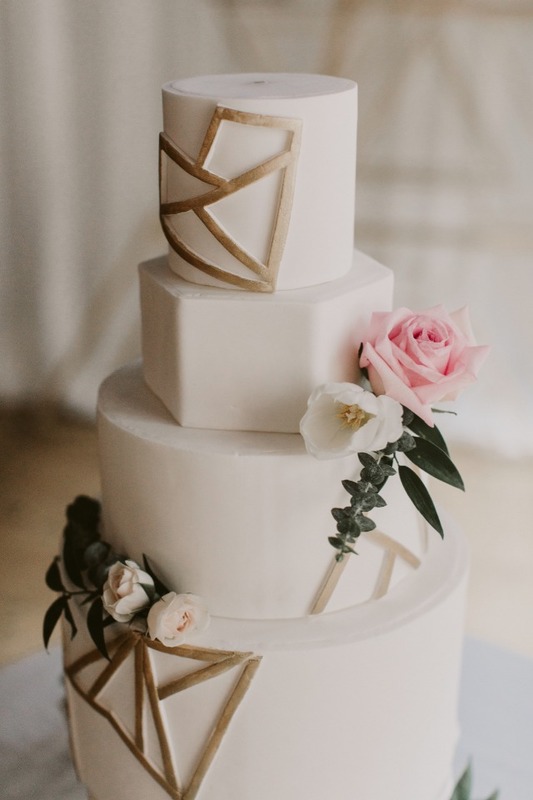 You can tie the knot just about anywhere which means the more unique the better for many couples. 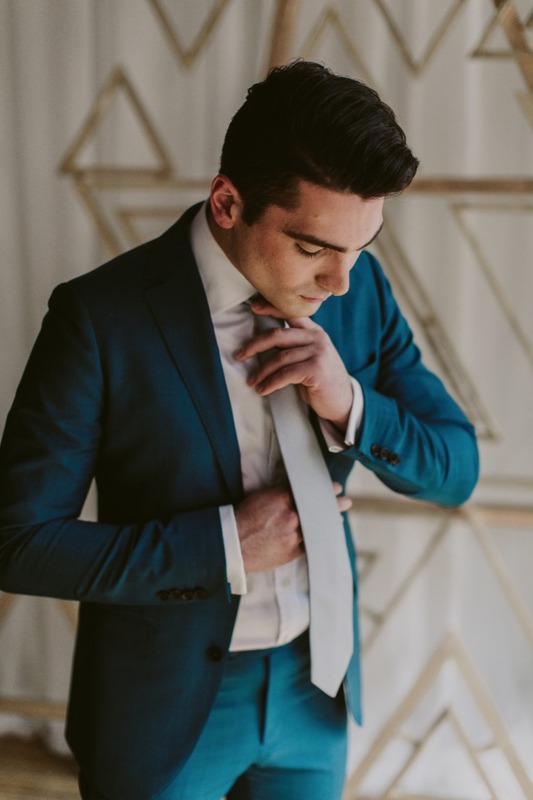 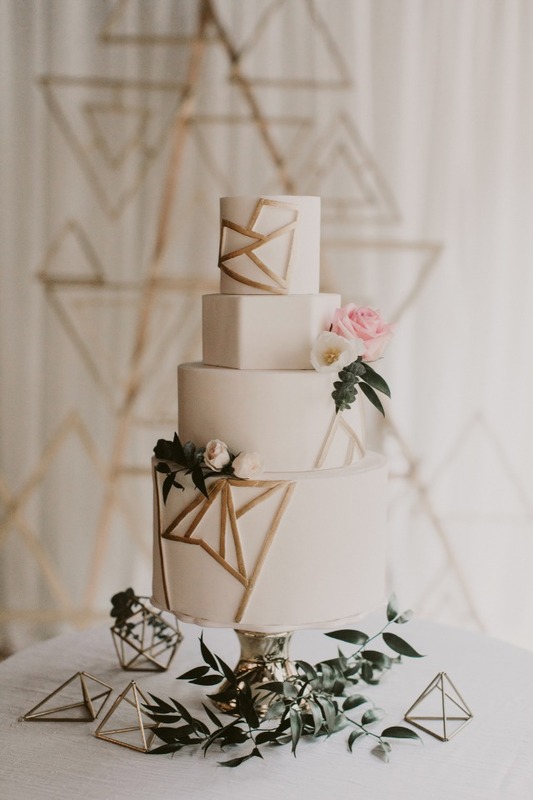 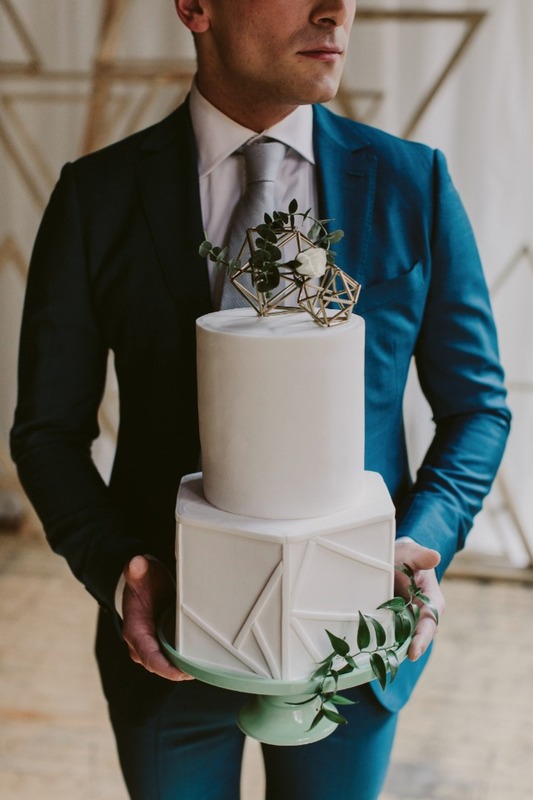 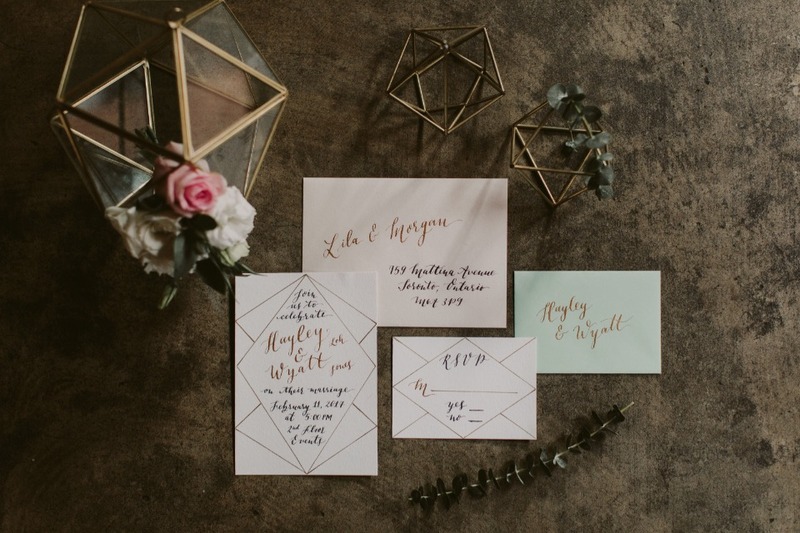 We have to say we can't get enough of this modern industrial gold and white wedding with a love for Geometry! 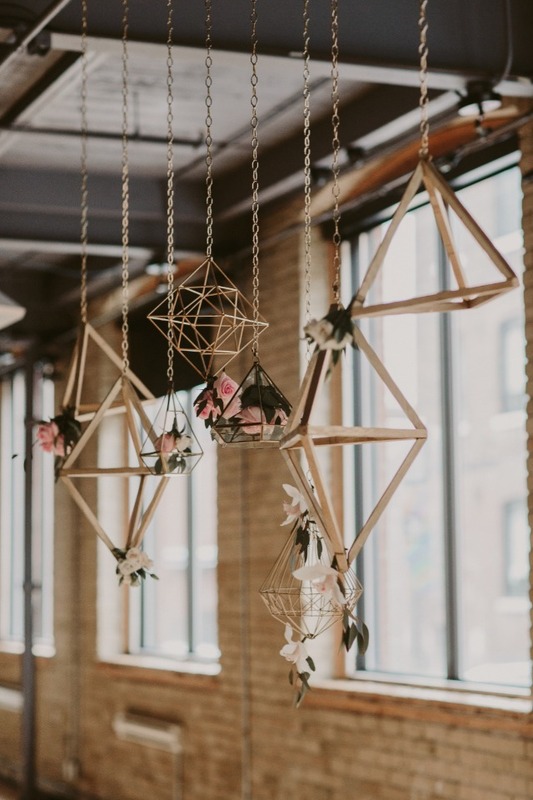 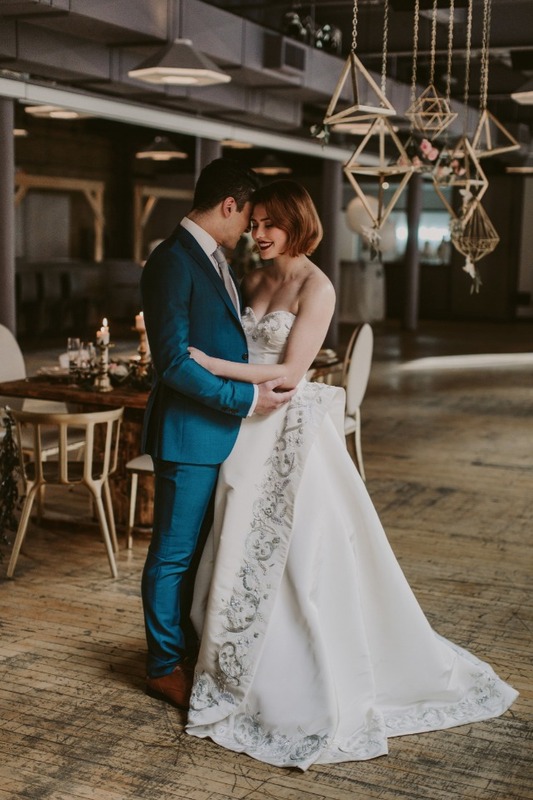 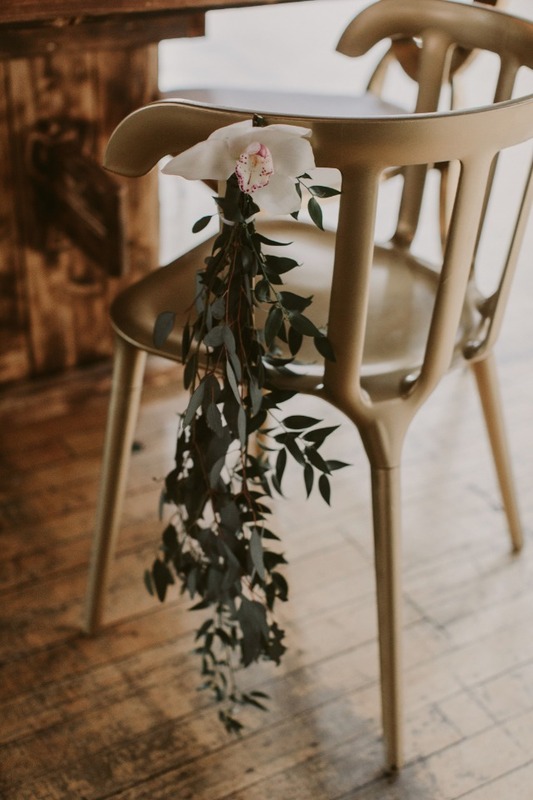 Not only did Alicia Jenelle Events and Love Laced Weddings place it in the beautiful industrial space of 2nd Floor Events, but they were also able to give the whole day a soft and quaint feel with quirky geometric elements, flowers and plenty of tulle. 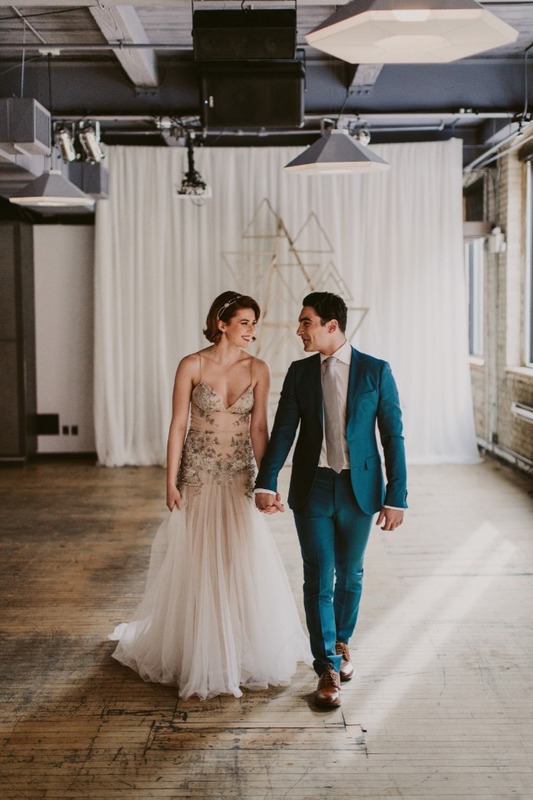 Be sure to check out all the magical moments from this wedding inspiration in our full gallery. 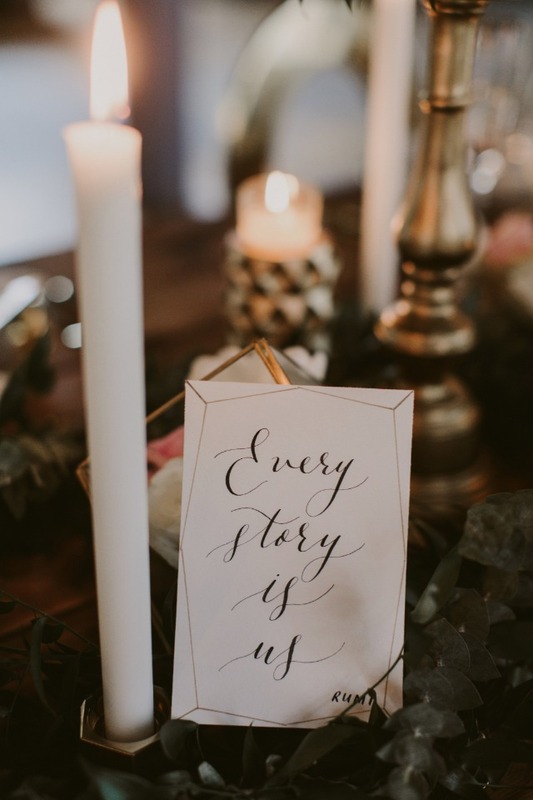 There is plenty more to see and pin thanks to the marvelous talents of Brandon Scott Photography! 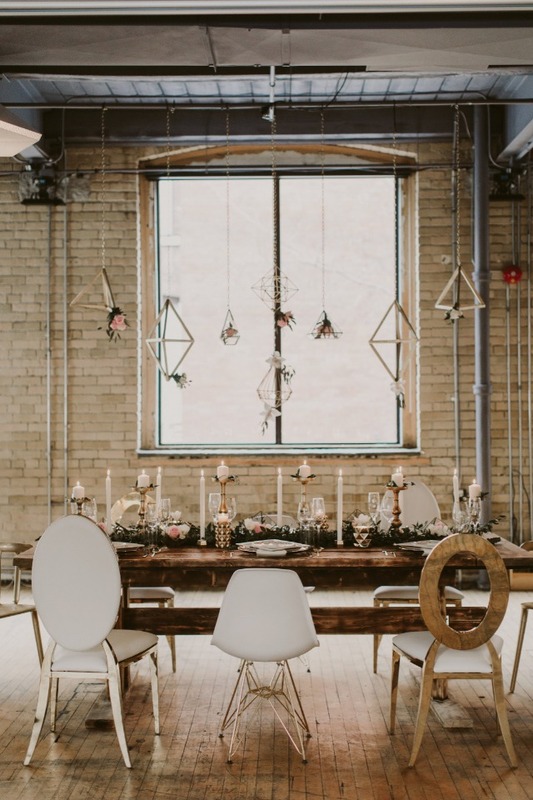 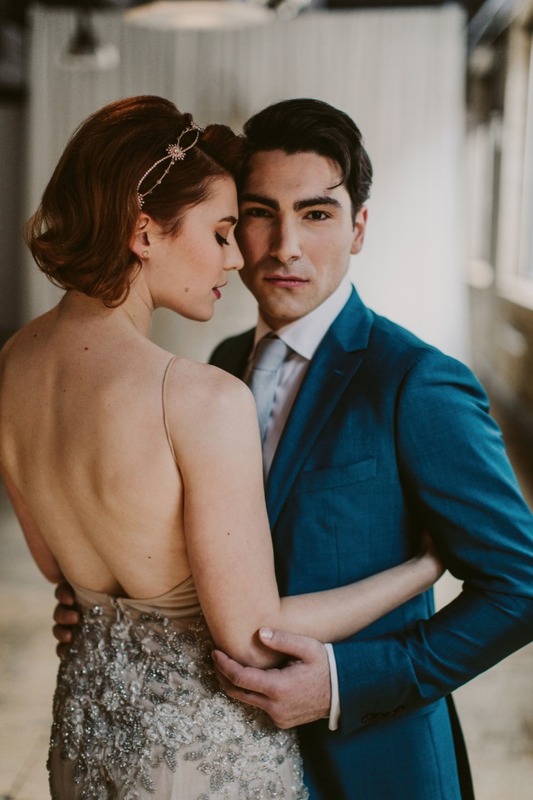 This fresh, trendy style shoot set at 2nd Floor Events in Toronto, Canada, features a sweet synthesis of colors inspired by the 2017 pantone color of the year, greenery and intimate weddings. 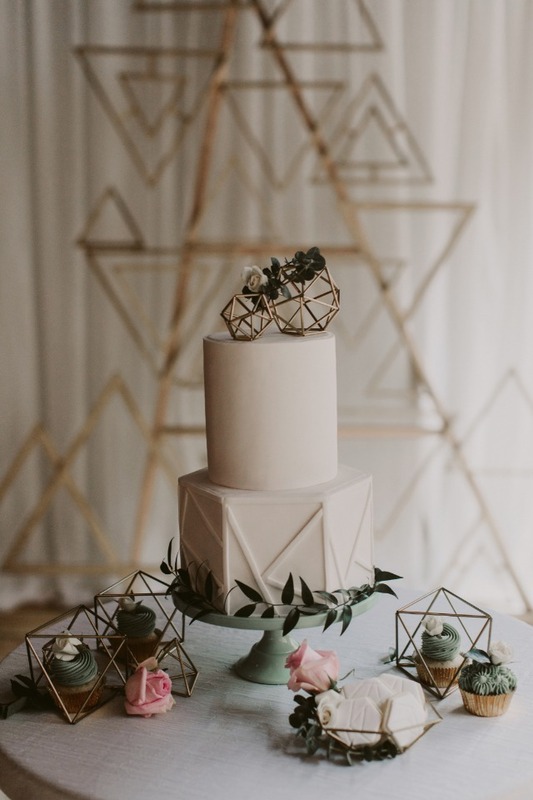 Geometric Love represents the unconventional couple with a soft edge. 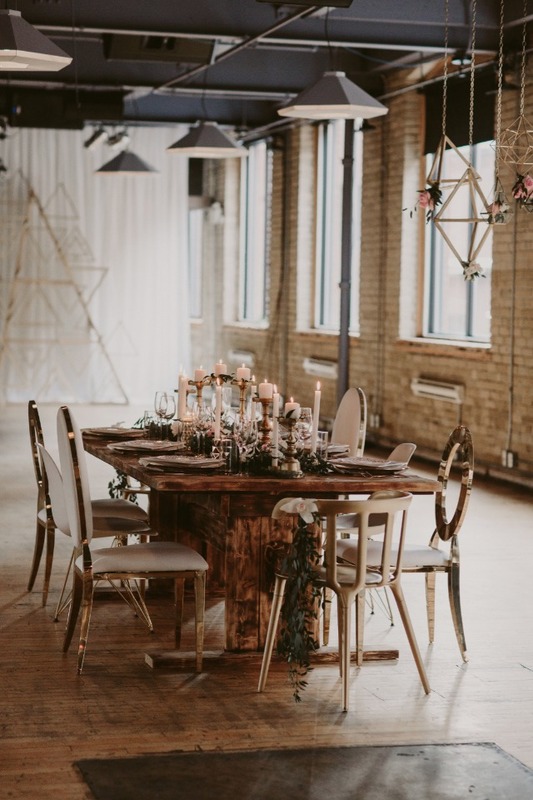 By use of urban wooden textures, metallic shapes and soft touches, this design scheme embodies the distinctive look of young love. 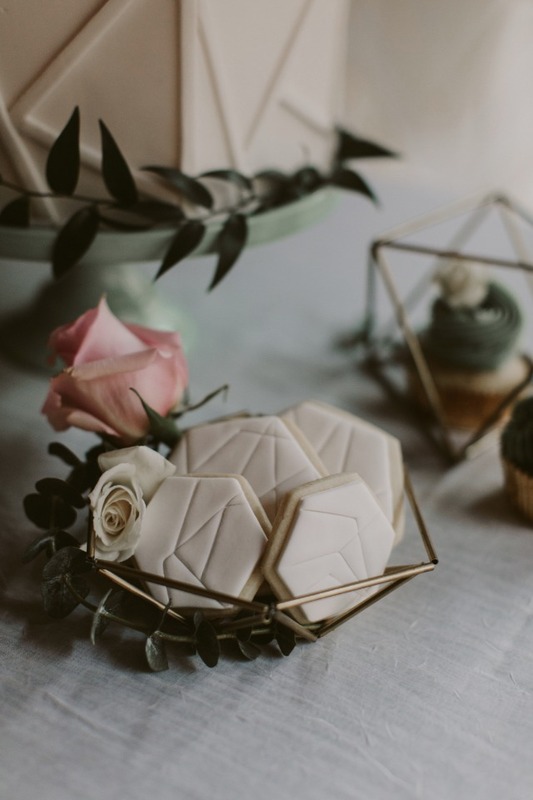 On the sweets table sat, beautiful geometric styled cakes and sweets, embellished with Nordic styled himmelis, which originated from Finlad. 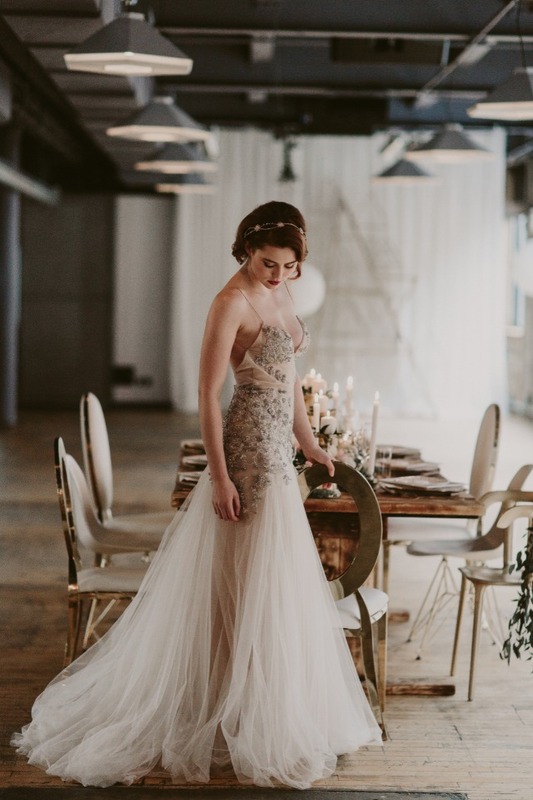 The elegant bride wore a soft flowy dress by Inbal Dror, and a more structured jaw-dropper by Oscar de la Renta. 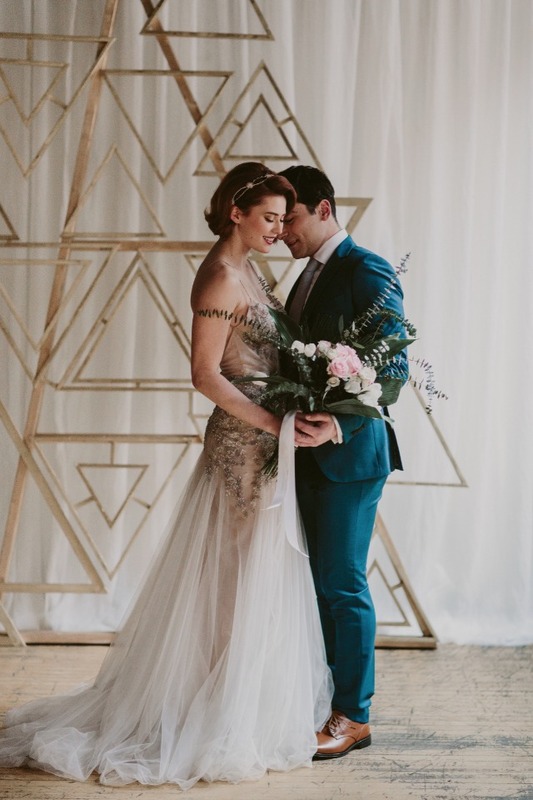 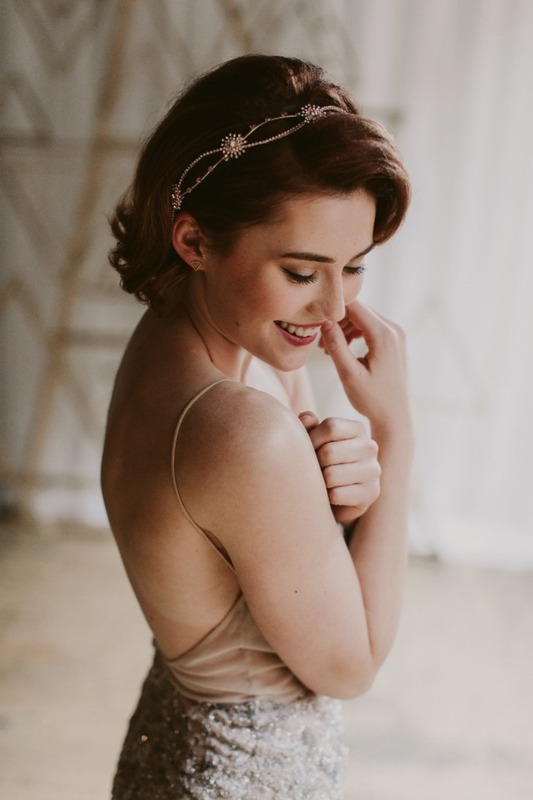 Her head was adorned with the golden Estelle Crown, while the groom was clothed in bespoke attire. 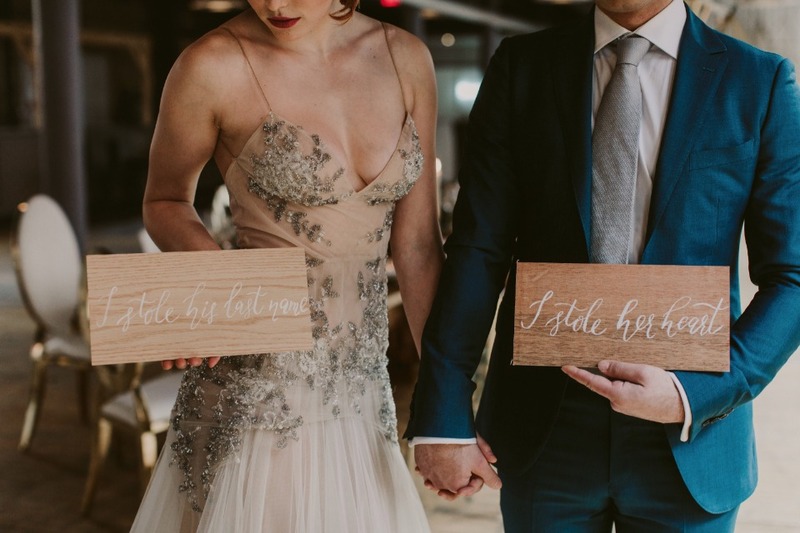 Named ‘top 30 inspiring wedding photographers of 2015” by Wedding Bells Magazine, Brandon Scott Photography captured all of the intricate details: hand lettered invitations and menus, playful "I stole his last name" and "I stole her heart" signs, a custom-made pyramid-like ceremony backdrop, luxe balloons and hand crafted custom rings. 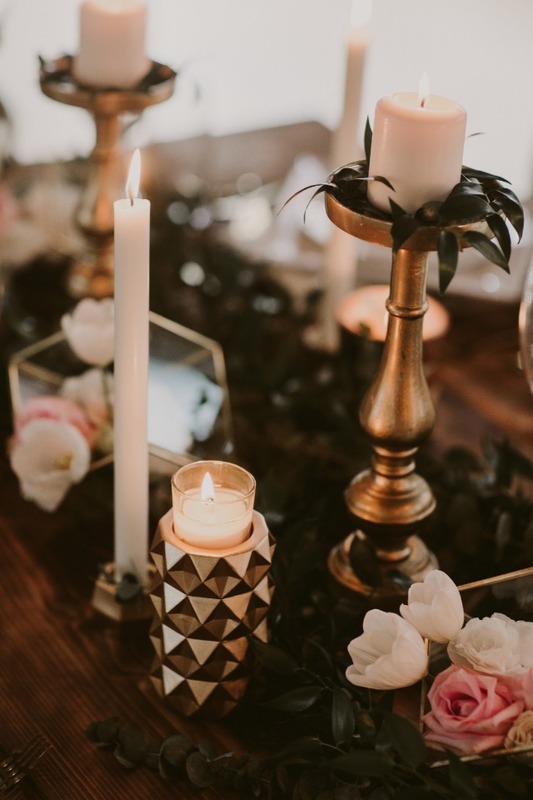 The exclusive harvest table, set for an intimate dinner, was eloquently paired with assorted gold and cream Cartier, Prism Curve and Dolce chairs. 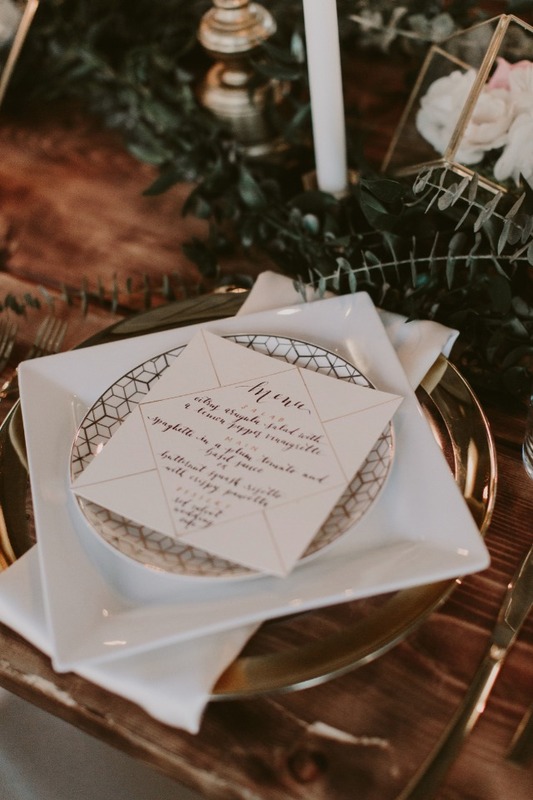 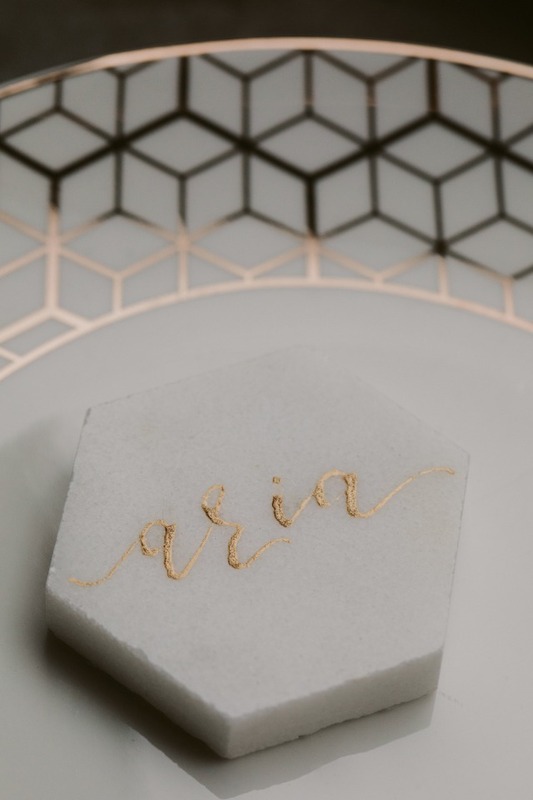 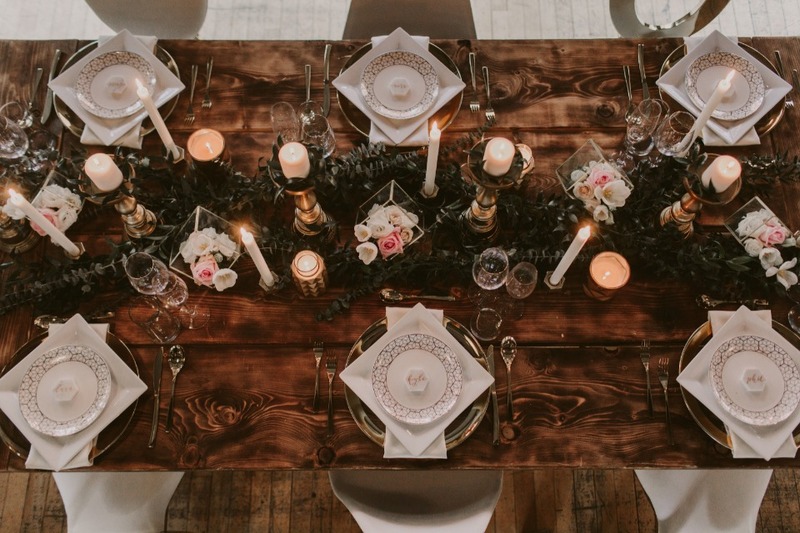 The table top was adorned with metallic geometric shapes, wispy florals, marble place cards and ivory candles. 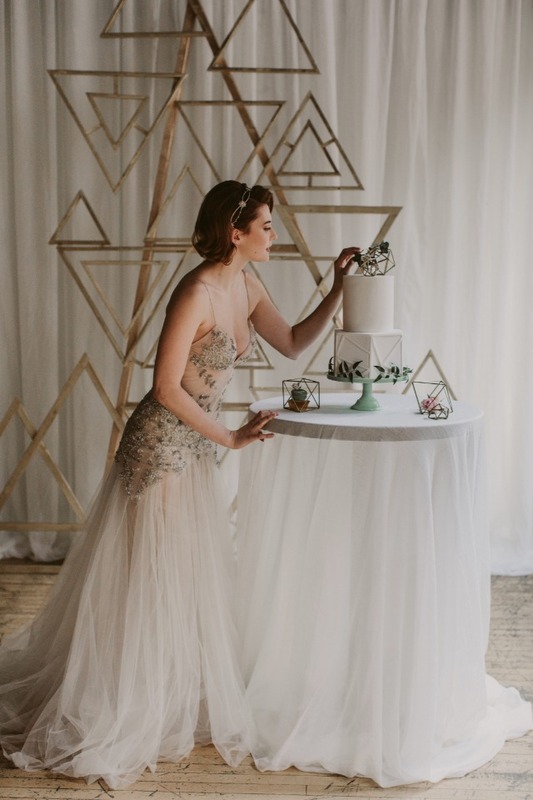 Luxury Balloon Designer Sugargirlee & Co.